It’s February, whoo! AQUARIUS SEASON!!!!!!!! Now I’m not excited because I’m an Aquarius or anything (proud Leo, baby, ALLLL DAY *rawr*). But I’m excited for a couple of other equally as important reasons. Triiin’s 21st birthday is this month (February 7th. Whoop, yes she IS an Aquarius!) Last year me & Caryn made some supreme awesomeness go down for Triiin’s bday (*cough, cough* strippers, surprise smokers party,etc. *cough, cough*. I wonder how we shall top ourselves this year??? Hmmm. I’m thankful to have made it to the 2nd month of 2014. Source has continued to grant me Divine awesomeness, favor, and grace. We are now, astrologically, in the age of Aquarius. Have been since the winter solstice of 2012 (yes the big hooplah the Mayans were REALLY talking about.) This age of Aquarius is supposed to be an exciting time for Earth on a spiritual and physical plane. In this, still new, age of Aquarius I cant help but believe that Aquarius season would only amplify these effects and be a wonderful, progressive, and blessed time for all of us. 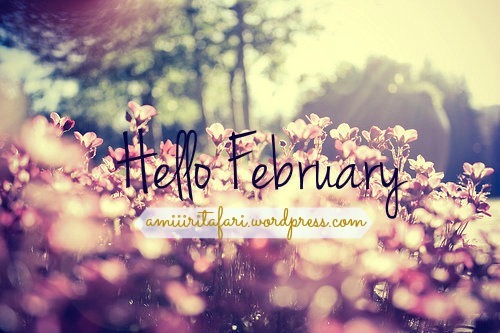 I’m intrigued and excited to see what this month holds! It’s Black History Month. Though it burns my soul that black history is not simply a part of history and is only celebrated and mock-apprecited a mere one month out of the year, I take advantage of any moment set aside to celebrate my African roots (as a black woman) and promote the learning of more than just the history that is taught in schools. There is so much hidden truth out there. Hopefully people delve into the real origins of the black race and the truth of our history. Probably not, but a girl can dream right? Valentines Day is this month! Yayyyy! :). I know its cheesy in some ways, but hey whats wrong with an occasion committed to showing love?? Nothing! We need to show a little more love to each other so lets take every opportunity to do so, eh? Here’s what I say to do this Valentine’s day, especially if your feeling a little annoyed by the typical notions of the day of love. Lets make V-day this year truly about showing love to our fellow man. Show love to your significant other and all the normal jazz, lavish them with kind words, nice things and good treatment if you shall. Nothing is wrong with that. But know that spreading love can be something as little as complimenting someone you wouldn’t normally, smiling at someone who looks upset, giving the homeless man on the corner a sandwich and some change. Whether you have a lover this V-day or not, there is always someone out there who needs love, YOUR love. Give it to them. Are you excited for February like I am?